I have had about 5 meters of chocolate brown baby corduroy in my fabric stash just taunting me. A quick intervention was required. Enter 4 pairs of the Oliver + S Sandbox Pants. 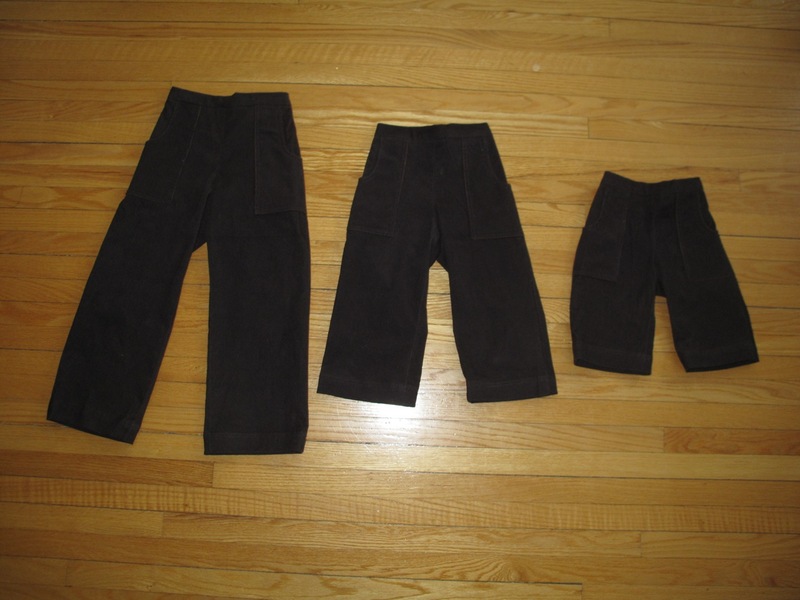 Three pair of Sandbox Pants by Oliver + S, sizes 5, 3T and 18m. I know I said there were four pairs. Kid № 1 looked, touched, and immediately put them on. 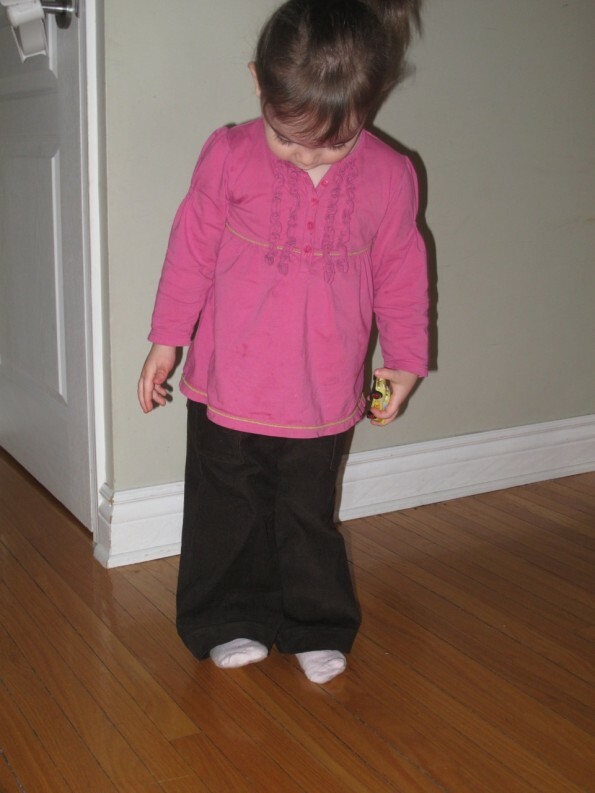 She then declared them officially comfortable and wore them to school. Success! (But no photos). 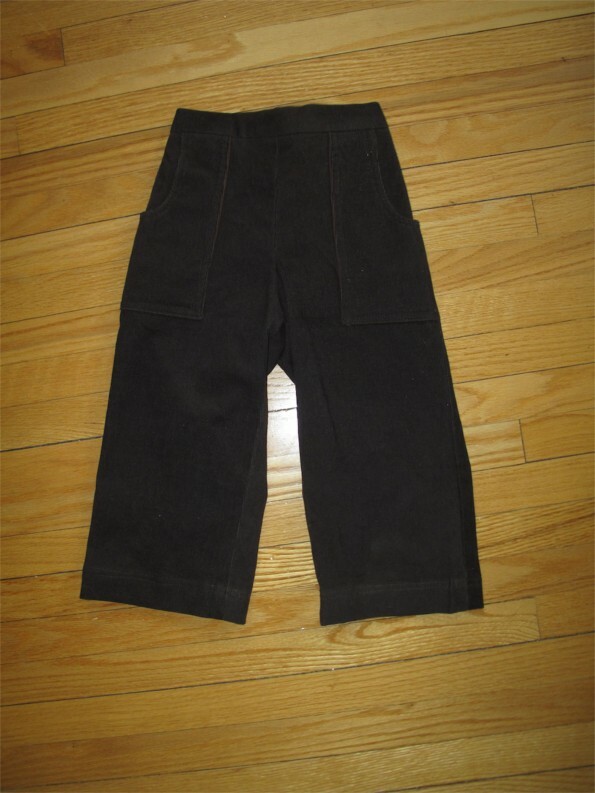 Sandbox Pants by Oliver and S, size 3. 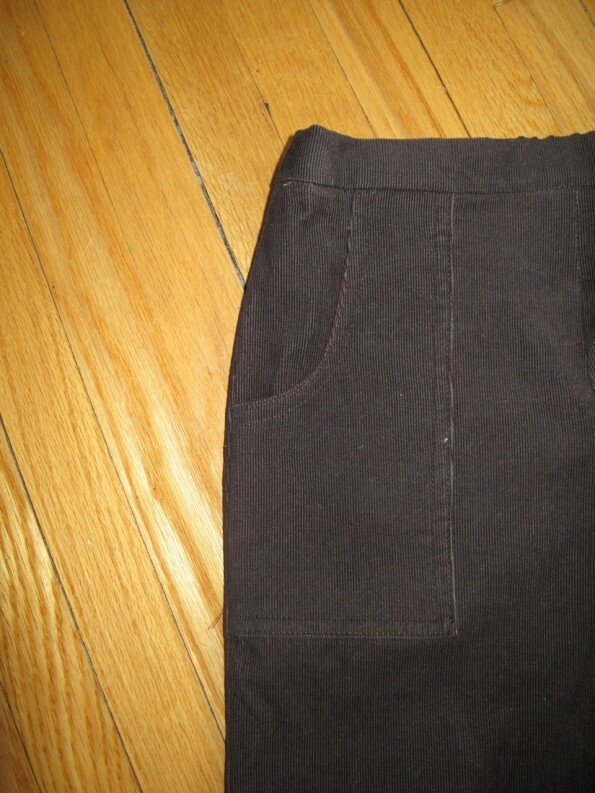 Back pockets, without buttons, on the Sandbox Pants by Oliver and S.
Front pocket of the Sandbox Pants by Oliver and S.
The fabric is a dark chocolate brown, and really quite soft. I picked it up on sale at one of the local chain stores. It’s not a very spring-like fabric, but here in Montreal spring is still a long way off. The pockets are lined with Kona quilting cotton in brown. 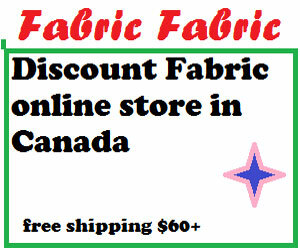 Both fabrics were on sale. Pant hem of the Sandbox Pants by Oliver and S.
The Sandbox Pants, like all the Oliver + S patterns I’ve tried, are a dream to make. The instructions are great. I bought the paper version of this pattern, in both size ranges (I need all the sizes), on Etsy from Plum Project Studio. I think I bought it right after the paper version was discontinued. You can still get the digital version online and print it out at home. I made these in sizes 18m, 3T, 5 and 6. Making that many pairs in that many sizes requires a lot of tracing paper! On the other hand, you get pretty quick at them with that much practice. It’s like an intense pattern testing setup here. 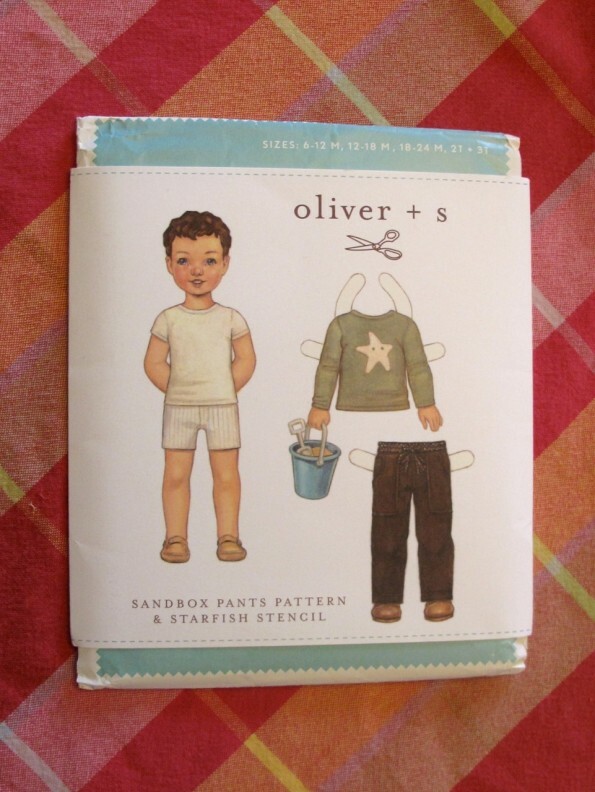 Sandbox Pants by Oliver and S, size 18m. I made a couple of small changes to the pattern. I left off the buttons on the back pockets. I also made the waistband out of corduroy (the pattern calls for coordinating quilting cotton). I had tried this pattern once before with a super heavy twill, and the cotton was just too flimsy for the pants fabric. 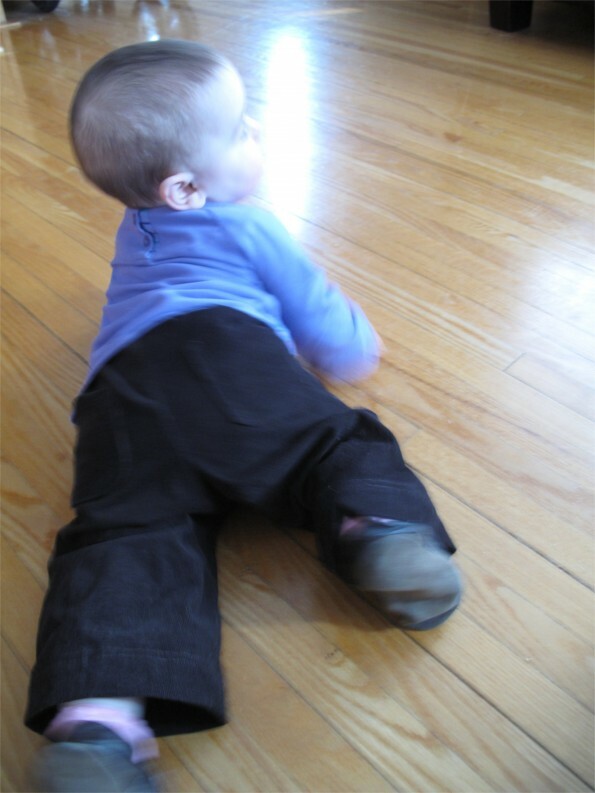 Even though the baby corduroy is much lighter weight that the twill, I think the pants work better with a slightly heavier fabric in the waistband. I still used quilting cotton for the pocket linings though. 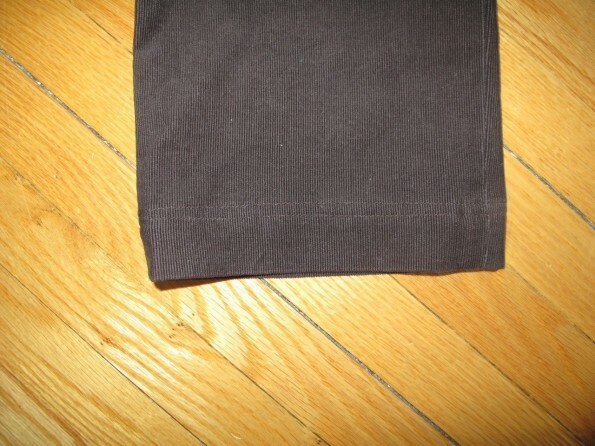 I also switched the drawstring waist for a flat front pant with wider elastic in the back. I think it looks a bit nicer that way with the corduroy. 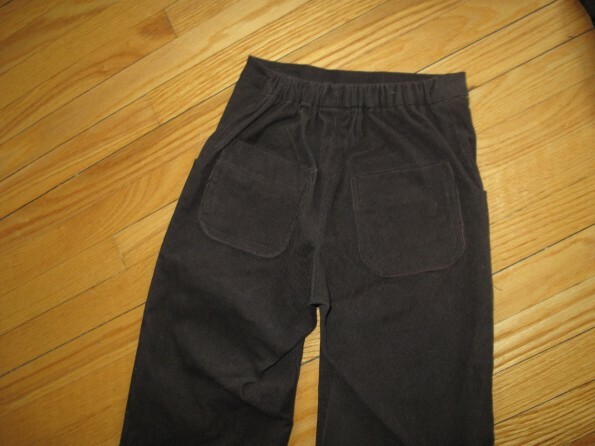 Flat waistband on the Sandbox Pants by Oliver and S.
I plan to make this pattern again. I’ve already had a request for these as shorts in a brighter colour from Kid № 1. Again, success! The other thing about making so many pairs of pants, is that you can really use the fabric very efficiently. I still had enough to make Colette Pattern‘s Ginger skirt. Hopefully I can get that hemmed and show you tomorrow. I’m pretty excited about it. And there’s even enough fabric left to make a skirt for one lucky kid, as soon as I get to it. 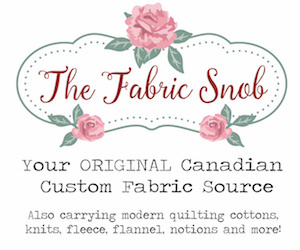 You can also find this in the Make It Wear It Thursday linkup. Fabric: baby corduroy, with Kona quilting cotton in brown for the pocket lining. Both were on sale. Sizes: 18m, 3T, 5, and 6. 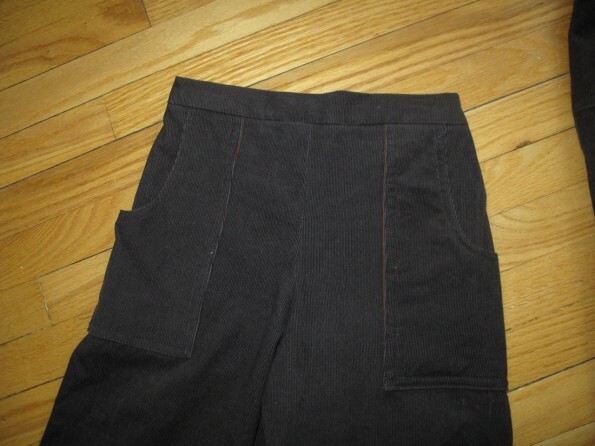 Modifications: I made the waistband in corduroy, not quilting cotton, changed the waist from a drawstring to a flat front, and left off the buttons on the back pockets. These are so cute in corduroy! 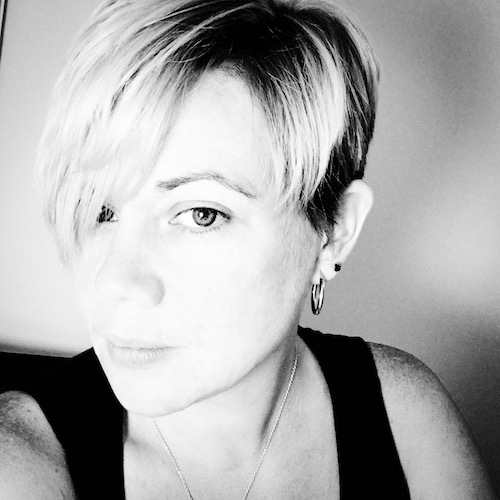 I hope you’ll stop by and link up to Make It Wear It at thetraintocrazy.com!